The Gran Hotel Bolivar was constructed in 1924 in Lima, Peru in the hope of modernizing the city. Today, it continues to stand proudly, serving as a time capsule of history and tradition overlooking Lima’s bustling San Martin Square. 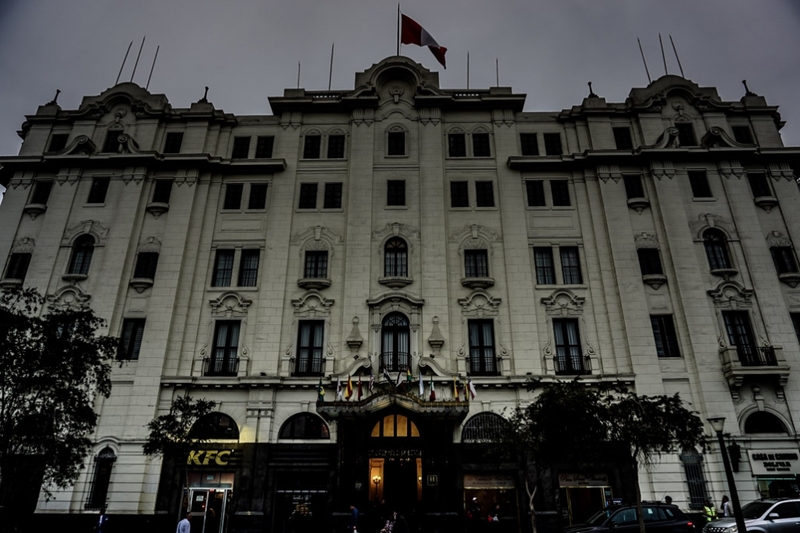 Today, the hotel is thought to be one of the most haunted places in Lima. Outside the gorgeous and haunted Gran Hotel Bolivar in Lima, Peru. Thought to be one of the most haunted hotels in Lima. At the time of its conception the Gran Hotel Bolivar gushed with sophistication and prestige. 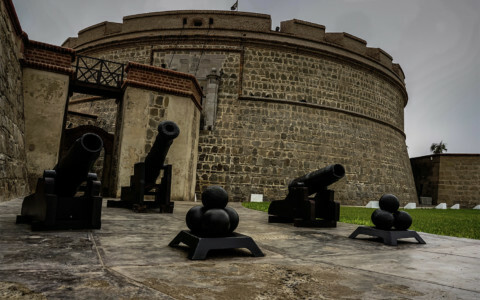 It was built to house visiting foreign politicians and dignitaries, with the Peru Government Palace being located just a few short blocks away. Though the hotel did attract and house plenty of international Emperors and Presidents, it also became a hub where Hollywood stars and famous musicians passed through. Over the years it saw the likes of Ava Gardner, The Rolling Stones, Orson Welles, John Wayne and Santana pass through its doors. Looking down one of the dimly lit hallways of the Gran Bolivar Hotel in Lima, Peru. Though some of the elegance has faded from the Gran Hotel Bolivar over the decades, it still manages to capture the era it was built in and retains much of its charm. It’s well known for having the best Pisco Sours in town served up in its popular bar and even more so for the many ghost stories which have plagued it for years. Looking over the main lobby of the supposedly haunted Gran Hotel Bolivar of in Lima, Peru. 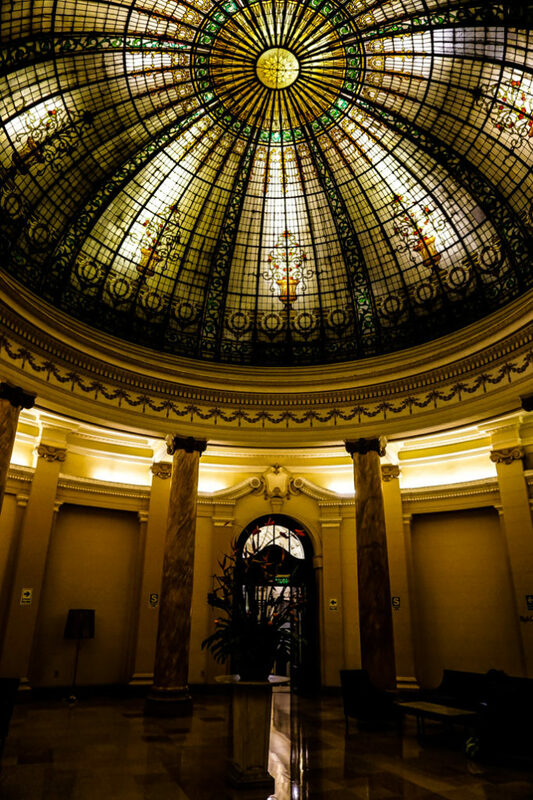 Entering the stunning lobby of the Gran Hotel Bolivar, guests are greeted with a stained glass dome ceiling that is impossible not to capture ones attention. Roaming its many long curved halls and dimly lit entertaining spaces leaves one with impressions of a time of grandeur, now lost to our modern age of technology. 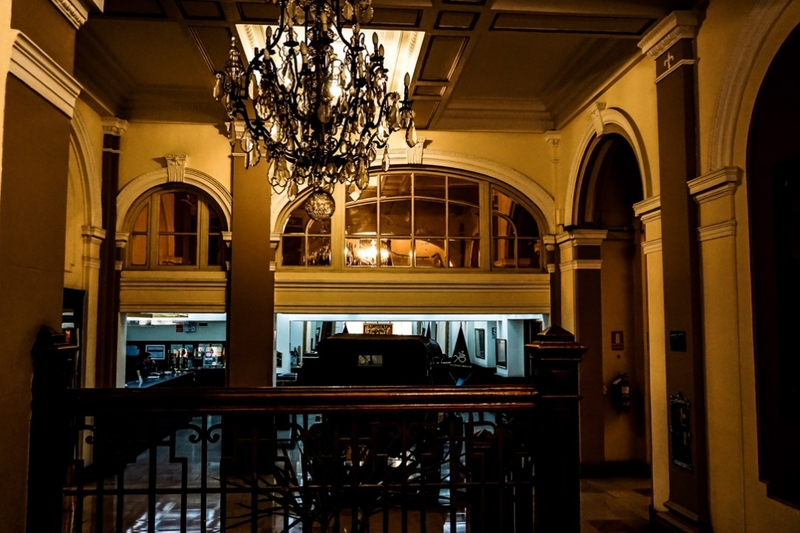 The musty smell, worn decor and dated amenities add to its charm and more than likely the formation of rumors that the Gran Hotel Bolivar is haunted. Grand dome over the main entrance to the stunning Gran Hotel Bolivar, one of the most haunted hotels in Peru. Many guests have reportedly encountered an apparition known as the Woman in White roaming the hallways of the Gran Bolivar Hotel. She is usually seen for a short amount of time before spontaneously disappearing in front of shocked guests and staff. 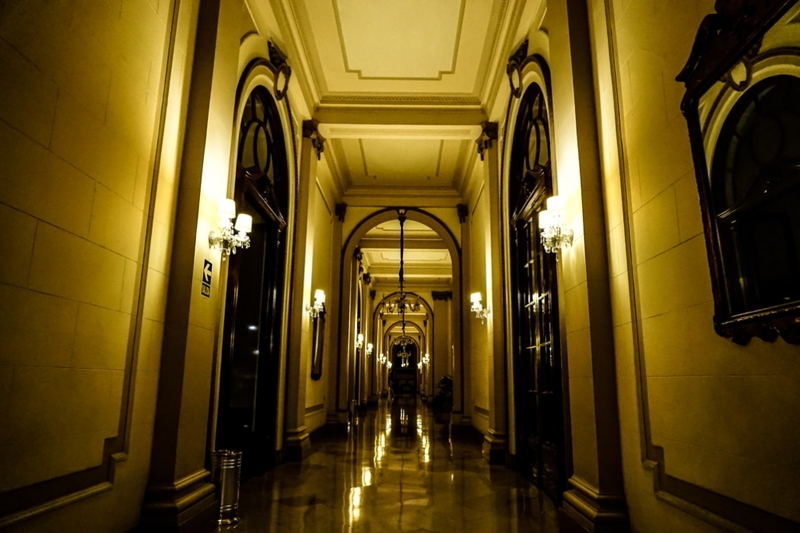 Looking for the ghosts of the haunted Gran Hotel Bolivar in Lima, Peru. 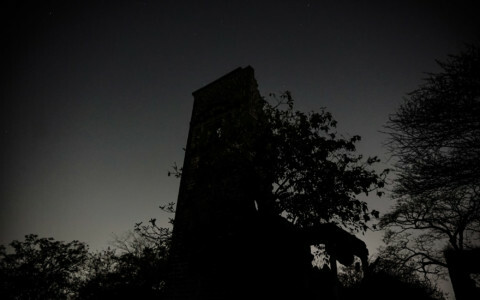 Another ghostly woman said to haunt the hotel is that of a suicide victim. Allegedly, a female who threw herself from one of the hotel’s upper windows to her death on the street below continues to roam the Gran Hotel Bolivar, unable to pass over to the other side. More views of the long winding halls of the haunted Gran Hotel Bolivar Lima, Peru. Many more have reported encountering the ghosts of former employees at the haunted Gran Hotel Bolivar. 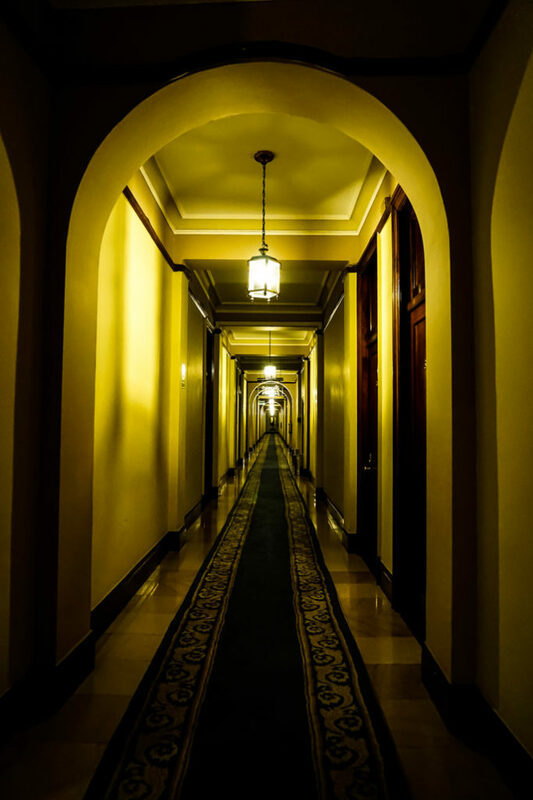 The most frequently reported apparition within the hotel is that of a ghostly bellboy who appears and disappears all throughout the hotel grounds. There is also one account of a sighting of the entity of a former security guard still going about their work duties after death in the upper floors of the hotel. 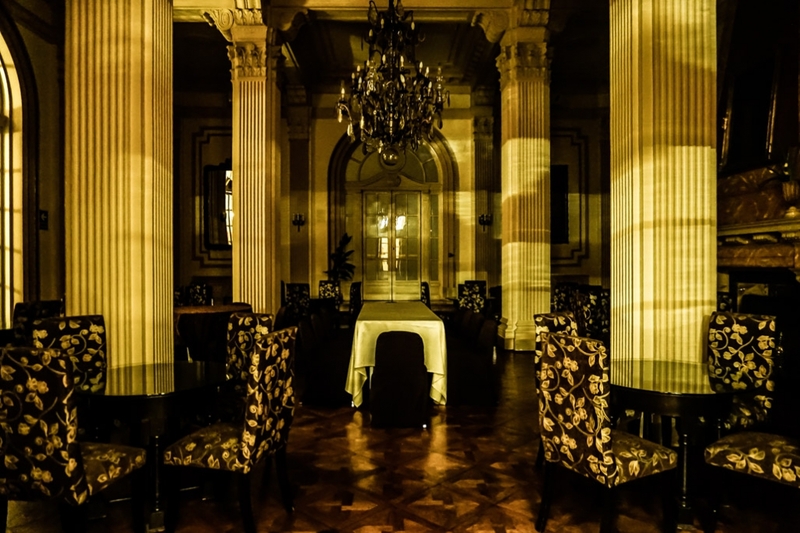 Dimly lit, empty ballroom of the majestic and haunted Gran Hotel Bolivar Lima. Perhaps the strangest and most disturbing ghostly legend that has been linked to the Gran Hotel Bolivar is the reasons behind the closure of its top two floors. Levels 5 and 6 have been barred from elevator access and each of the hotel’s staircases have been barricaded off to guests. 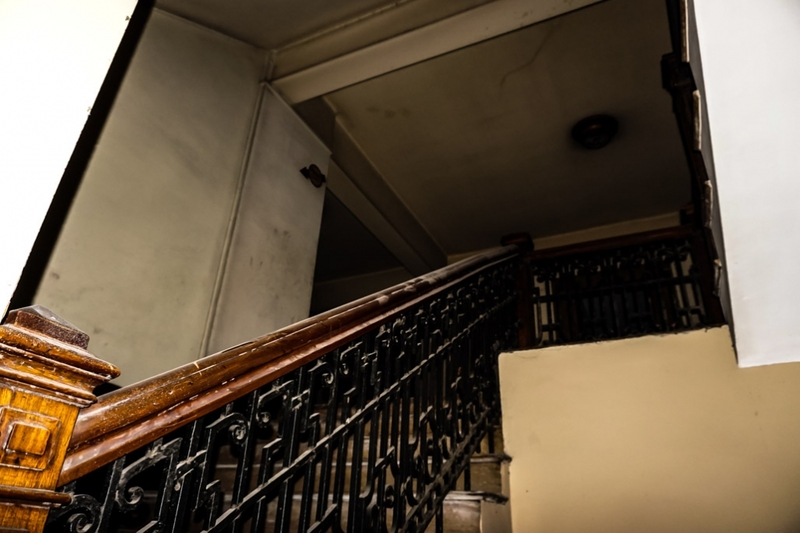 There is no access to staff or the public to these two upper floors that have been left untouched, to decay and accumulate dust for many years. 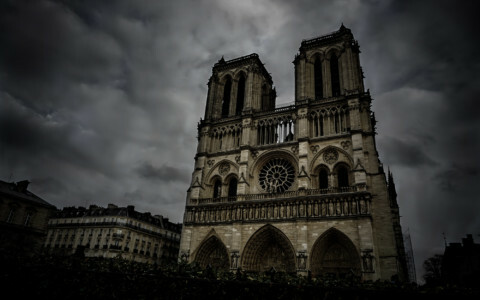 Many believe that the reason for their closure is due to high instances of paranormal activity that have been recorded on these levels, though management begs to differ. Are the upper levels of the Gran Bolivar Hotel closed off due to paranormal occurrences? Learn more about the haunted history and experience a paranormal investigation, including EVP and Spirit Box communication within the Gran Hotel Bolivar in this video. Another view of the blocked off levels 5 and 6 of the Gran Hotel Bolivar, rumored to be closed due to ghosts. The Gran Hotel Bolivar is an affordable stay in the heart of Lima, Peru. 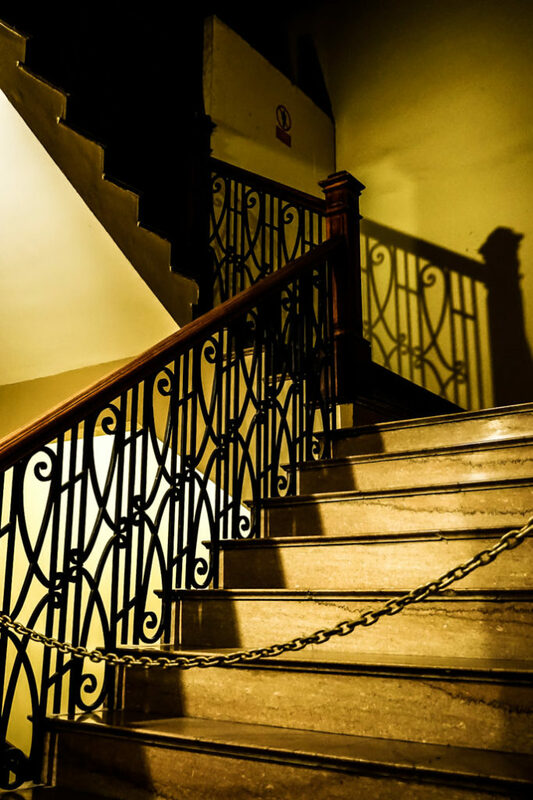 The hotel exudes charm, history and is a place that any paranormal enthusiast should add to their travel plans. The Gran Bolivar Hotel in Lima, Peru is famous for its Pisco Sours. I recommend taking a walk to the nearby Government Palace of Peru, which has its own haunted stories, and taking a tour of the Lima Catacombs underneath the San Francisco Church. 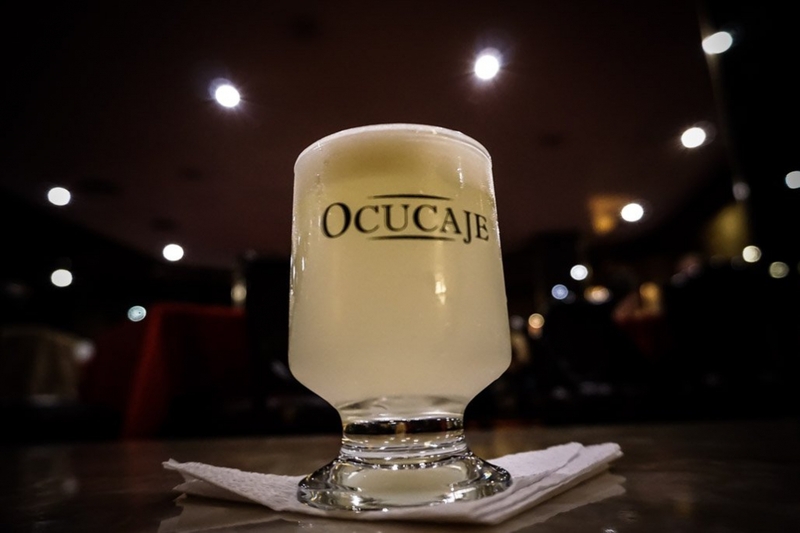 Don’t forget to check out the hotel’s famous bar and try their ever popular Pisco Sour. 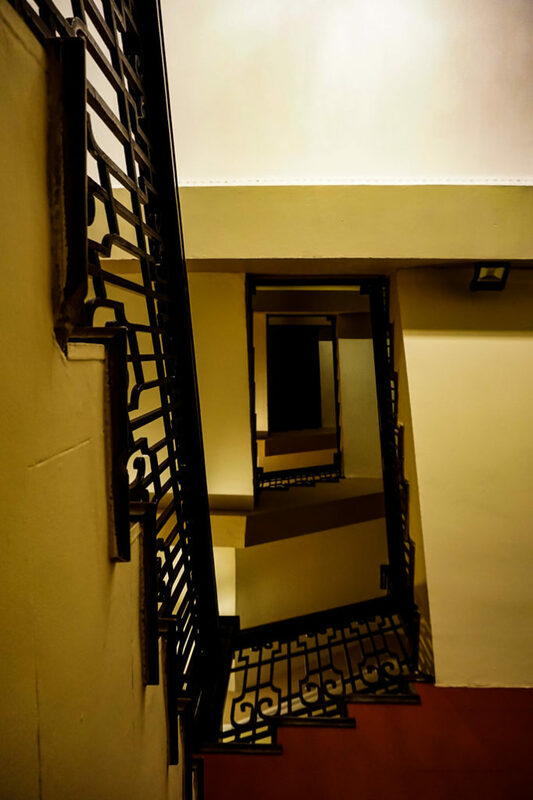 Looking up at the stairs of the haunted Gran Bolivar Hotel. 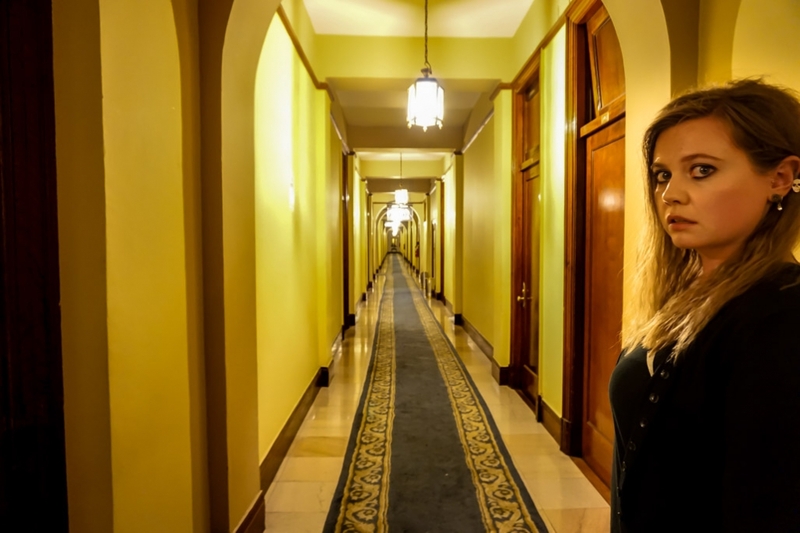 If you enjoyed this article and are looking for other great haunted hotels to spend a night at, I recommend the haunted Biltmore Hotel in Providence Rhode Island.